To document the findings of corneal biopsies for progressive microbial keratitis in a large tertiary referral institution. A retrospective medical records review of all patients who underwent at least one corneal biopsy for the diagnosis of microbial keratitis at Sydney Eye Hospital, Australia between January 1, 2010 and December 31, 2016 was performed. Thirty-eight patients (18 men and 20 women) underwent a corneal biopsy for progressive microbial keratitis unresponsive to broad-spectrum topical antimicrobials. 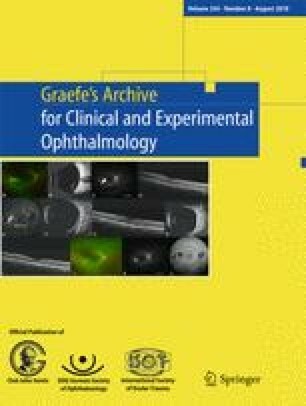 Risk factors for microbial keratitis included contact lens wear in 8 (21%), recent intraocular surgery in 5 cases (13%), recent agricultural trauma in 3 cases (8%), exposure keratopathy due to Graves’ orbitopathy in 1 case (3%), and profound systemic immunosuppression due to chemotherapy for leukaemia in 1 case (3%). The remaining 20 patients had no identifiable risk factors. Fifteen patients (39%) had a positive biopsy result, which identified bacteria in 6 cases and Mycobacteria in 1 case, both by culture of the biopsy specimen. Three cases of fungus were identified on culture of biopsy specimen, two of which were also confirmed on histopathology and an additional case was identified from histopathology alone. A single case of Acanthamoeba was diagnosed by culture and histopathology, and an additional 3 cases were diagnosed on histopathology alone. A corneal biopsy yielded new organisms in 73% (11/15) cases where the culture results of biopsy specimens were positive. Corneal biopsy is an important tool in the diagnosis of progressive keratitis, often identifying causal organisms not found on corneal scraping alone. Dr. Nicole Carnt and Richard Rawson provided assistance to this project. Dr. Robaei was supported by an NHMRC Early Careers fellowship (APP1073846). Professor Stephanie Watson was supported by an NHMRC Career Development Fellowship (APP1050524). The sponsor had no role in the design or conduct of this research. All procedures performed in studies involving human participants were in accordance with the ethical standards of the institutional and/or national research committee (place name of institute/committee) and with the 1964 Helsinki declaration and its later amendments or comparable ethical standards. For this type of study, formal consent is not required.